What Is the Difference Between Sunscreen & Sunblock? Mother putting sunscreen on her daughter's face. 1 What Is the Difference Between Sunscreen & Sunblock? 2 Why Is UV Light Bad for Your Skin? You know that not wearing sunscreen is a definite no-no -- but even if you do wear sunscreen every day, you may not be using the correct strength. Using the right type will not only decrease your overall risk for skin cancer, but it will also help protect your skin from sunspots and premature aging. SPF is an abbreviation of “Sun Protection Factor.” Traditionally, SPF shields the skin from UVB rays only. Sunburns are primarily caused by UVB rays because they penetrate the surface of the skin; UVA rays penetrate the skin more deeply. However, there are broad-spectrum sunscreens available that protect against both types of rays, so be sure to read product labels carefully. According to the Skin Cancer Foundation, it takes just 20 minutes to get a sunburn. The number associated with SPF helps determine the amount of time by 20 it can help protect your skin. For example, SPF 30 has the ability to theoretically protect for up to 10 hours. However, sweat and everyday elements are likely to interfere with such a time frame. There is perhaps an easier solution to figure out sunscreen strengths: SPF 15 may prevent up to 93 percent of UVB rays, while SPF 30 offers a protection rate of 97 percent. SPF 50 protects slightly more, at a rate of 98 percent. The differences in protection aren’t that significant, which is why SPF 15 is adequate for most people. 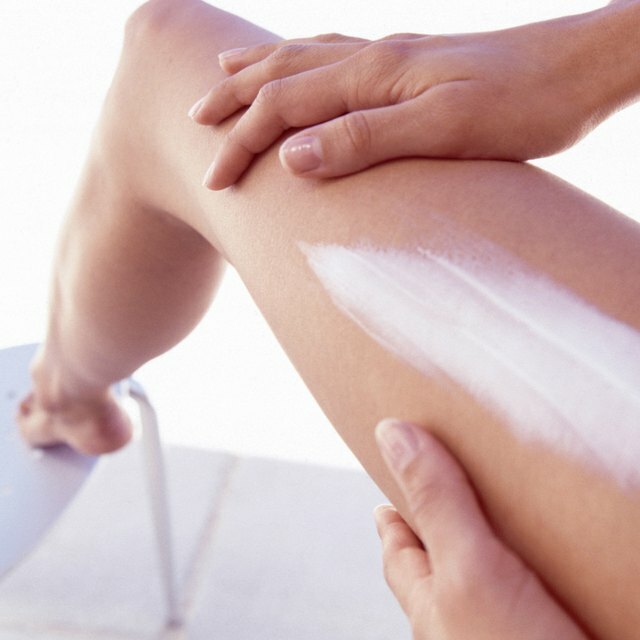 However, if you have fair skin or burn easily, you might consider a higher SPF. Broad-spectrum sunscreen also blocks UVA rays to help minimize the long-term effects of sun exposure, such as premature wrinkles. Take into account which parts of your body are impacted most by the sun's rays when choosing your level of protection. Since your face and chest receive the most amount of sun exposure year-round, you should opt for an SPF of 30 or more. Since much of the sun rays you encounter are done either standing or sitting, you may get away with SPF 15 for the rest of your body. When in doubt, go with the higher SPF to ensure you’re protected. Also look for ingredients like titanium oxide or zinc oxide, which offer broad-spectrum protection for both face and body. While the idea behind SPF is to protect your skin for several hours against sunburn, you still need to reapply sunscreen according to your activity. As a rule of thumb, the Skin Cancer Foundation recommends reapplying your products every two hours and more often after sweating or swimming. No matter what SPF you choose, avoid excessive sun exposure between 10:00 a.m. and 4:00 p.m. Consider a range of sunscreen-containing products, such as foundation, tinted moisturizer and body lotion for comprehensive protection. Is it Better to Tan With or Without Tanning Lotion?